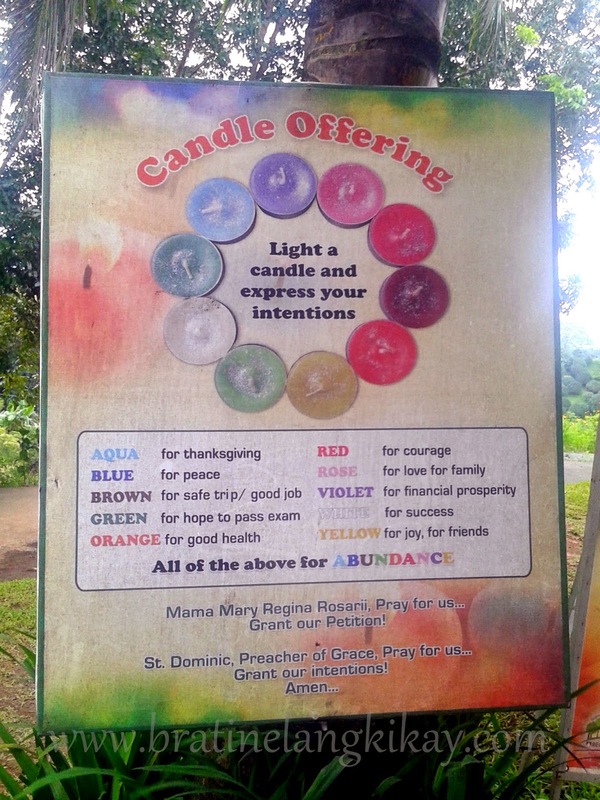 But with our sudden decision to go to Tanay, Rizal to see for ourselves the retreat sanctuary called Regina Rica, we had a meaningful trip without leaving a hole in our pocket. 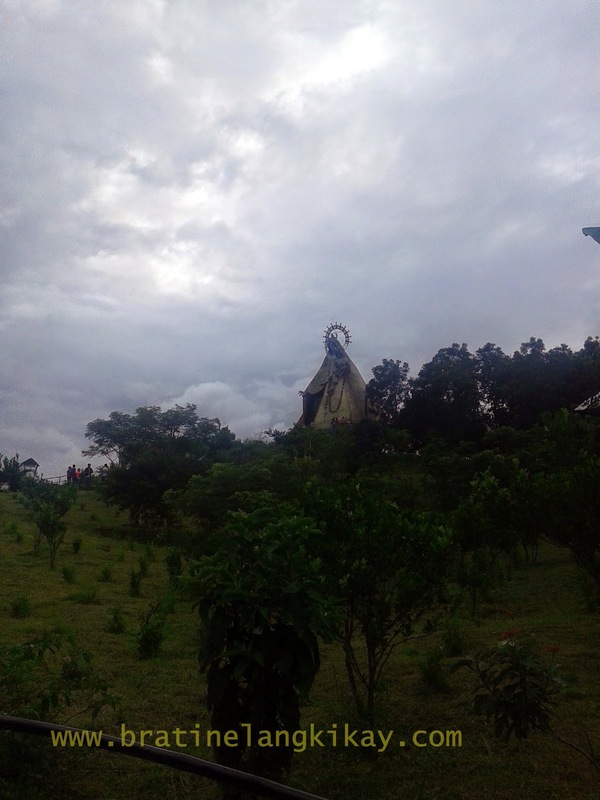 Regina Rosarii Institute for Contemplation in Asia (RICA) is home to the 3rd Regina Rosarii statue (the other two are in Davao and Tagaytay) and is run by the Dominican Sisters of Regina Rosarii. No wonder that the site is perfectly molded into a place for soul searching and reflection. 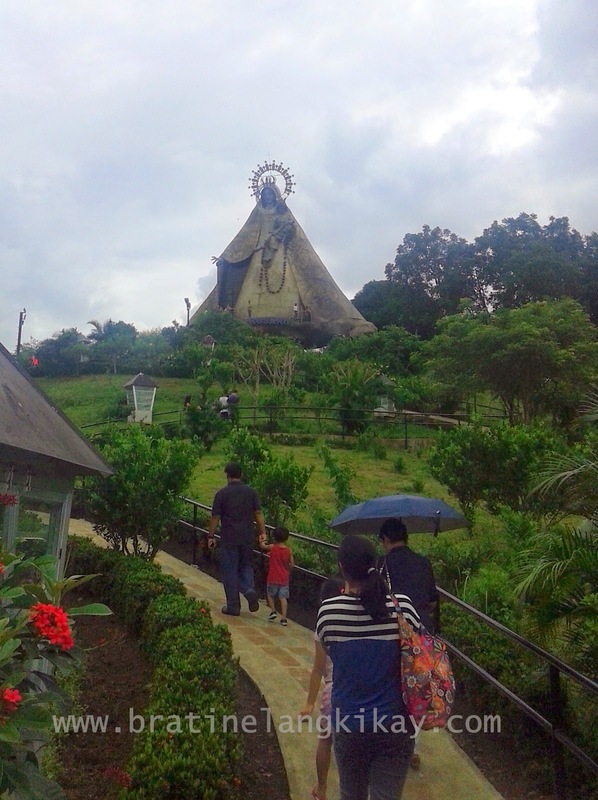 Although it looks far and steep going to the huge statue of the Virgin Mary, just keep walking and you'll reach the top before you even know it. 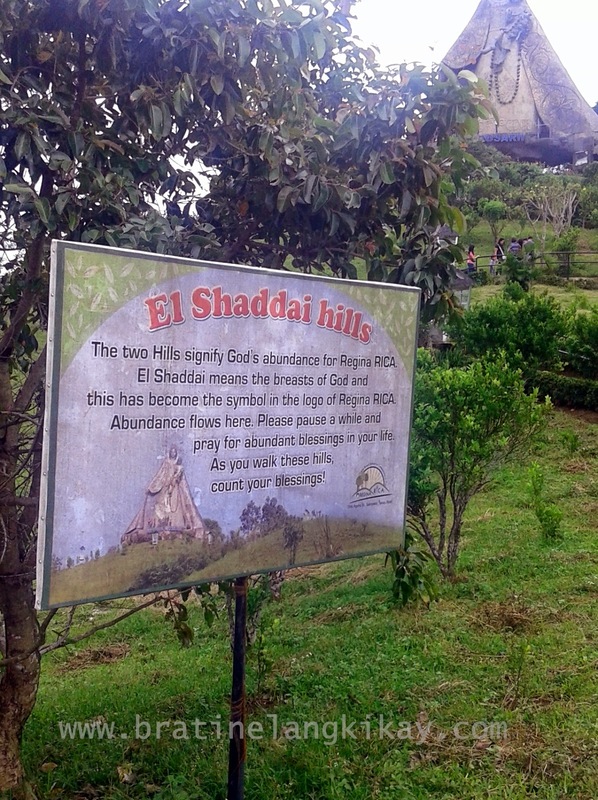 There's a recorded voice that plays at the background encouraging visitors to reflect and suggesting instructions on how to slowly meditate and pray as you climb the hill. It somehow reminds the visitors that this is a sacred place, not a tourist spot. 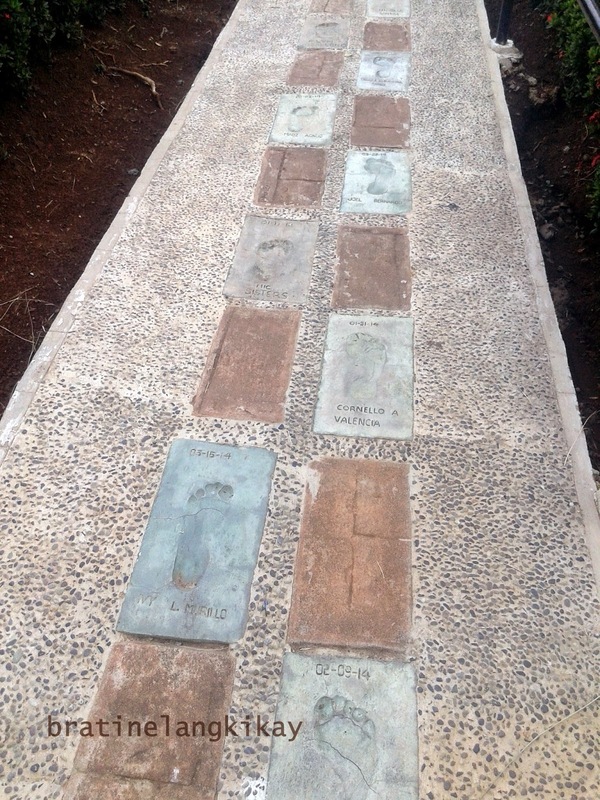 Enjoy the cool breeze on top of the hill while you reflect at the foot of Regina Rosarii. 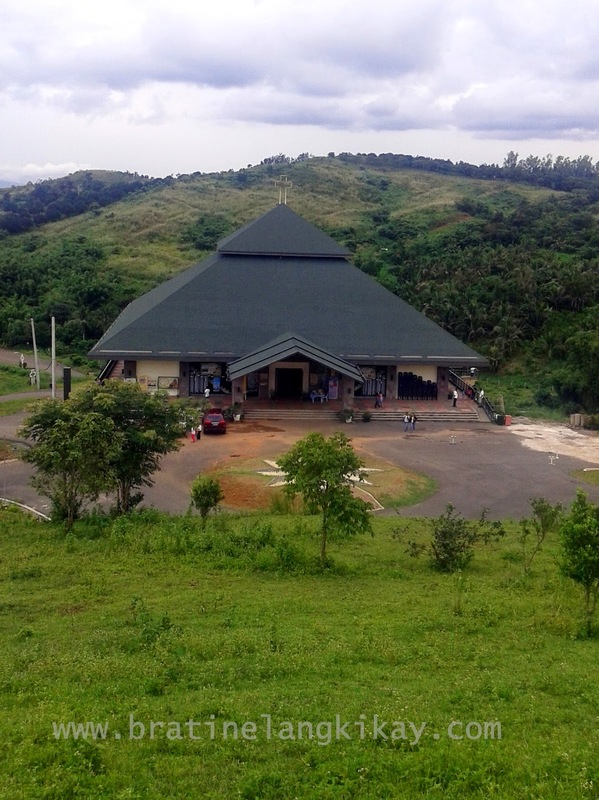 The huge expanse of the property, including the church, columbarium, the animal and organic farm and the snack house called Pasilungan can be seen from top. There is a candle room at the back of the huge statue where pilgrims can light a candle (donation for each candle is Php20) and say their prayers. There is an air of peace, of solemness that entices visitors to pray and reflect. Can you guess which is the most popular candle color? 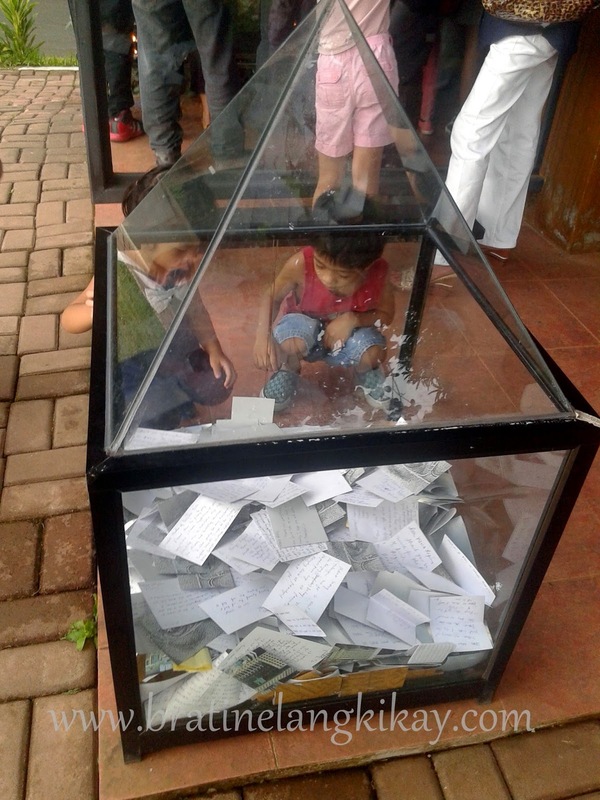 We wrote our thanksgiving and petitions and dropped them in a prayer box. They will be collected by the nuns for intercession. After walking around, we got thirsty so we dropped by Pasilungan. It's the only place in Regina Rica where visitors are allowed to eat. 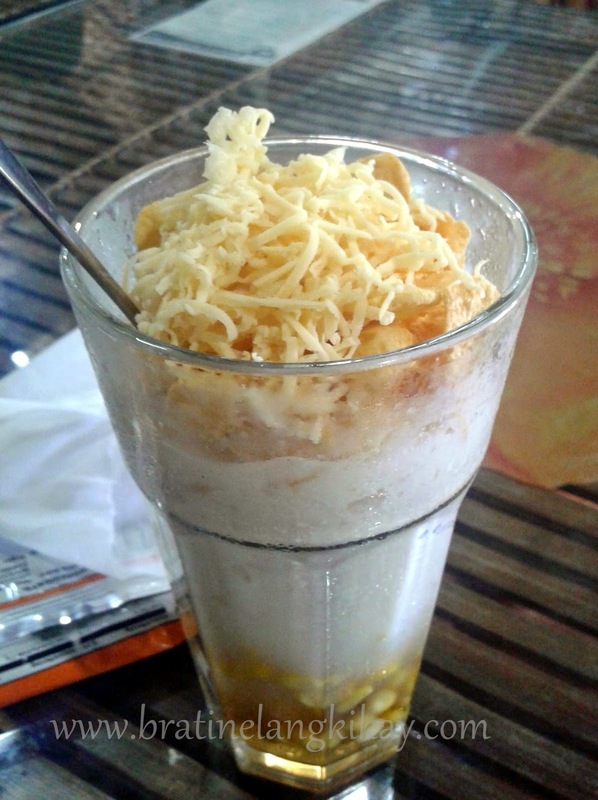 They sell usual meryenda fares like sandwich and pancit but what we actually enjoyed was their maiz con yelo. Look at all those cheese and corn flakes toppings! Sulit for Php60 per serving. I imagine Regina Rica would be full during Lenten Season. I am glad we were able to visit at this time of the year when there were only a few visitors. 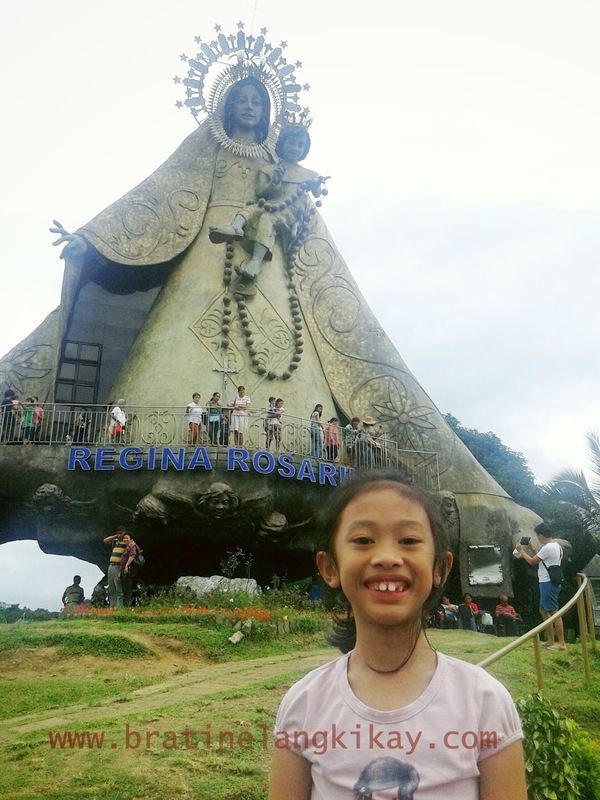 We were able to experience Regina Rica rather than just seeing the place. For driving directions to Regina RICA, click HERE.